Since Uber quietly launched in New Jersey last year, an increasing number of local residents are finding that it offers a very interesting alternative to traditional cab companies. Users can reserve a car through a smart device connected to the internet. Payment is handled through the app, the user can track the estimated time until the car arrives, and view detailed feedback about the driver. 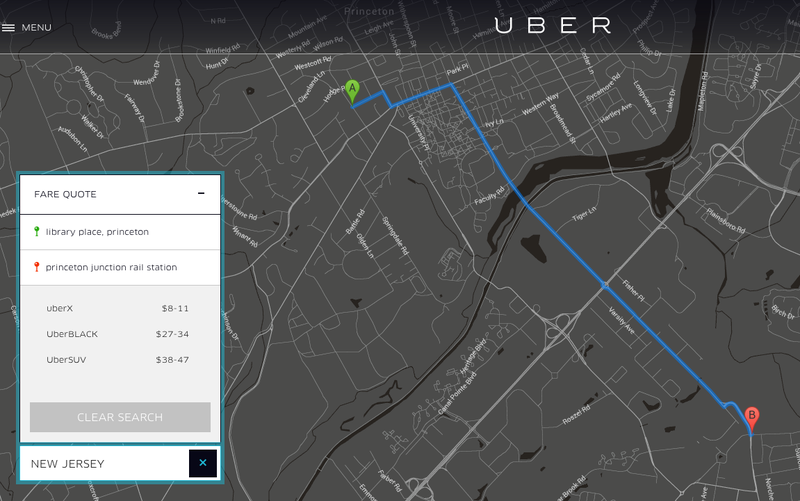 In many respects, the service is similar to taking a taxi, but Uber service around Princeton can be much cheaper. Uber has been rapidly gaining market share, sometimes at the expense of traditional taxi companies, and sometimes from people who find regular taxis too expensive, unreliable, or unpleasant. As has happened in many of the other markets where Uber operates, traditional cab operators in Princeton are objecting to the new service. Their argument is that Uber is flouting existing taxicab regulations, and that the municipality should intervene to prevent their operation. But Uber is very popular with customers. Should Council intervene? Mayor Lempert, in response to a question from the owner of A Amigo Princeton Taxi, said that the question of Uber and other rideshare services was being discussed by the town Public Safety Committee, which has no publicly-available agenda or minutes. Separately, Council member Jo Butler advised that Council had appointed a task force to review taxicab regulations, and that Uber could be discussed as part of that process. For many people trying to live a car-free or car-lite lifestyle, the availability of Uber has been extremely helpful for those times when a car is essential. Even in big cities, there are times when you just need a car. In a spread-out area like Central New Jersey, with infrequent transit service and almost non-existent bicycle facilities, access to a car is even more important. Traditional car rental, like Avis or Hertz, is time-consuming and best suited to long trips. Modern ‘by-the-hour’ car rental like Enterprise CarShare is more convenient, but many people are still unfamiliar with how to use it. Taxis offer most flexibility, but around Princeton, they are amazingly expensive, as we noted in July 2013. Uber therefore hits a sweet spot of flexibility and affordability, a massive plus for people who want to live without owning a personal automobile. According to one argument, taxis are expensive in Princeton, because there is weak demand, which makes it harder to offer an inexpensive service. But Uber has disproved this idea. It is much cheaper, even while offering a more reliable and friendly service. Another argument is that Uber is cheap because it flouts taxicab regulations. Should Uber be subject to the same licensing requirements as traditional taxi companies? This question depends on whether you consider Uber to be equivalent to a traditional taxi company. Current Uber riders will tell you that the customer experience is not the same, but there are also significant differences with the Uber model. For example, Uber customers can see detailed feedback on a driver, submitted by other riders after each trip. Normally, when you hail a car, you don’t know anything about the driver. With Uber, the customer benefits from substantial prior information. Who do you trust more? A government-appointed inspector, who saw the driver last April? Or the ten customers who caught a ride with him yesterday? Your answer to this question may depend on how much you trust online ratings for other commodities. eBay and Amazon marketplace customers will be familiar with the concept of using star ratings from other users to figure out whether a potential vendor is trustworthy. Using this system, billions of online transactions have taken place without the requirement for a governmental licensing system. Municipal officials should think carefully about what they are trying to achieve before going after Uber. Princeton residents are benefiting significantly from the current diversity of car service options, which has come from innovation in the sector. Regulation, where necessary, should be equally innovative, and not attempt to lump all the players into a single category. The New Jersey Assembly is currently working on their own rules to regulate Uber, and these rules already appear to be quite restrictive. The best thing of all would be for municipal staff to download the app and take a few Uber rides. That would let them find out why local people are so postive about the service. Are you a regular Uber user? Do you think Princeton should act to keep this type of company out of our town? Have your say in the comments section below. This entry was posted in Alternative Transportation, Local, Princeton. Bookmark the permalink. I’m writing this from an uber ride right now. Why should I pay more for the inconvenience of dealing w a Princeton taxi service. If they offered a better product they wouldn’t be so threatened by Uber. Wait to you get into a crash in an Uber car and find out they have just $15,000 worth of liability insurance to cover your injuries. I drive for a limo company that by state regulation must carry at least 1.5 million in insurance. I also had to undergo a special insurance check before they would allow me to drive. All of this (and more) is why legal limos and taxis cost more. Uber can’t use technology to simply step around reasonable regulation. Why don’t the taxi companies simply join Uber? Andrew your comment in reference to Ubers insurance is untrue like posts made by taxi and limo drivers. 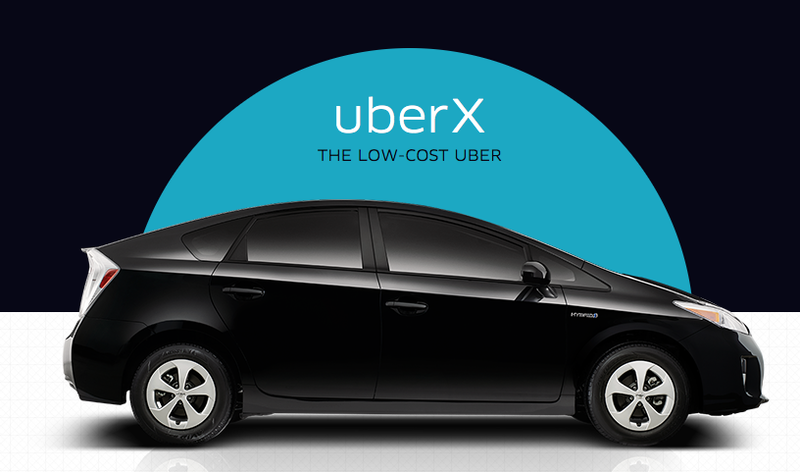 Uber has 1,000,000 million in liability insurance for Uberx vehicle passengers and drivers. Our agency can close the rideshare insurance gap.